On Thursday, June 8th the Vermont Council on Rural Development (VCRD) presented its annual Vermont Lifetime Leadership Award to Paul Bruhn, the Executive Director of Preservation Trust of Vermont for his transformational leadership in historic preservation and community development. 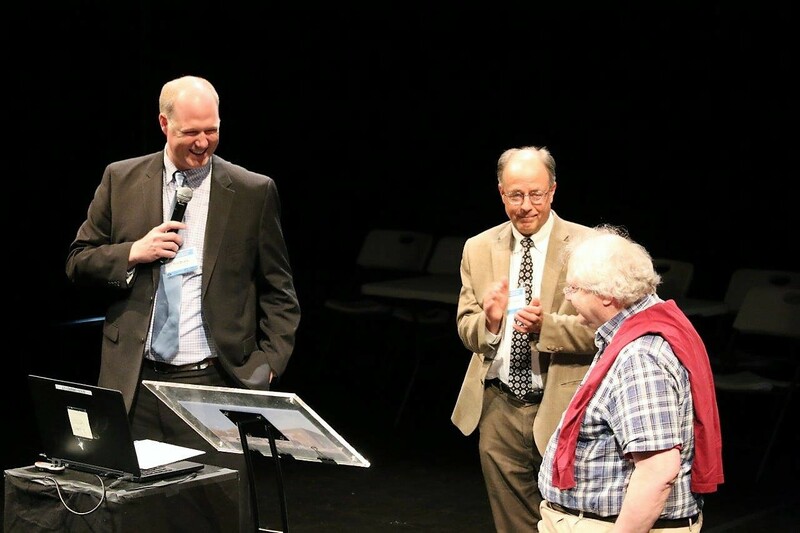 The award was presented at the Downtown and Historic Preservation Conference at Barrette Center for the Arts in White River Junction by VCRD Executive Director Paul Costello and VCRD Board Chair and Deputy Secretary of the Agency of Commerce and Community Development, Ted Brady. According to Costello, “No one in the history of Vermont has had the reach and impact of Paul Bruhn for historic preservation, building restoration, Vermont downtown development, and community encouragement and empowerment.” As Senator Patrick Leahy’s first campaign manager, and for four years his chief of staff in DC, Bruhn was instrumental in finding the resources to drive the development of Burlington’s Church Street Marketplace. In 1980 Paul helped to found the Preservation Trust which has led over 1,500 community and historic preservation projects throughout Vermont from the Grand Isle Lake House and the Putney General Store to the Vermont Marble Museum in Proctor, Richmond’s Round Church, and The Single Chair at Mad River Glen. For many of us, Paul is the touchstone to Vermont’s living heritage and the catalyst for the vital future of Vermont’s special places.